For many couples, talking or thinking about death is very difficult, no matter if they have been married six months or six decades. Death is the proverbial elephant in the room, because even though we deal with it every time we bury our friends and family members, sometimes we don't want to talk about it with our spouse, as if doing so might make it happen sooner. When a spouse is ill or if their mortality is in some way threatened, it is only natural to be concerned about the one who is left behind. Some spouses even interview and line up the next spouse so their mate won't be alone! Other couples just happen to die within minutes, hours or days of one another. Did they die because they were so connected, or did they instinctively know their spouse was gone? Did they die of a broken heart or was it just their time to die? Here are some amazing stories that might tug on your heartstrings. They sure tugged on mine. Helen and Kenneth Felumlee were not a famous Hollywood couple. Their story made worldwide news just the same because of one unique and unusual event. They happened to have died within 15 hours of each other. After reading their story, I think you'll agree that neither one would have wanted it to happen any other way. Introduced by Helen's friend (who also happened to be Kenneth's ex-girlfriend), the Ohio couple met when Helen was 19 and Kenneth was 18. They dated for three years and in 1944, they decided to get married. But there was a problem. The legal age to get married in Ohio was 21. Helen had already turned 21 in November 1943 and Kenneth wouldn't turn 21 until February 22, 1944. The story goes that Kenneth just couldn't wait those extra two days to marry Helen. So they eloped, traveling across the river from Cincinnati, Ohio to Newport, Kentucky. 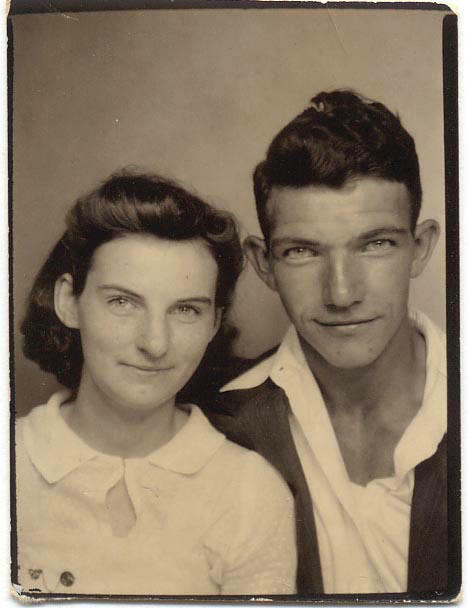 With five bucks to their name, and using two dollars to pay the license fee, they were married on February 20, 1944. Too afraid to tell their parents of their elopement, they lived apart for a couple of weeks until they got up the nerve to tell them the news of their marriage. From that day forward, for over 70 years, the Felumlees never spent another night apart. 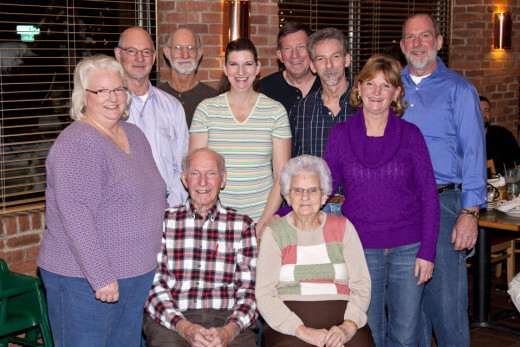 This couple's life in Ohio was very much hometown America, raising eight children (5 boys, 3 girls) in the 1940s and 1950s and being active in their United Methodist Church. At one time or another, both were Sunday school teachers. Kenneth often juggled two jobs at a time, be home for a couple of hours and then leave out for the next job. If it wasn't to work he was headed, it was to help someone in the neighborhood. Kenneth held jobs as a postal mail carrier, a mechanic and finally a railroad car inspector for B & O Railroad, a job he held for 30 years until his retirement in 1983. Helen was a stay at home mom to their growing family and together they were very active in their community, visiting nursing homes and helping families in need with food, money, babysitting. Their benevolence with time and money was well known in their small town. A case in point: after having a bigger home built just down the street, they gave their old house to a family who had fallen on hard times. Kenneth and Helen never charged them rent, telling them "You have a house for the rest of your life." 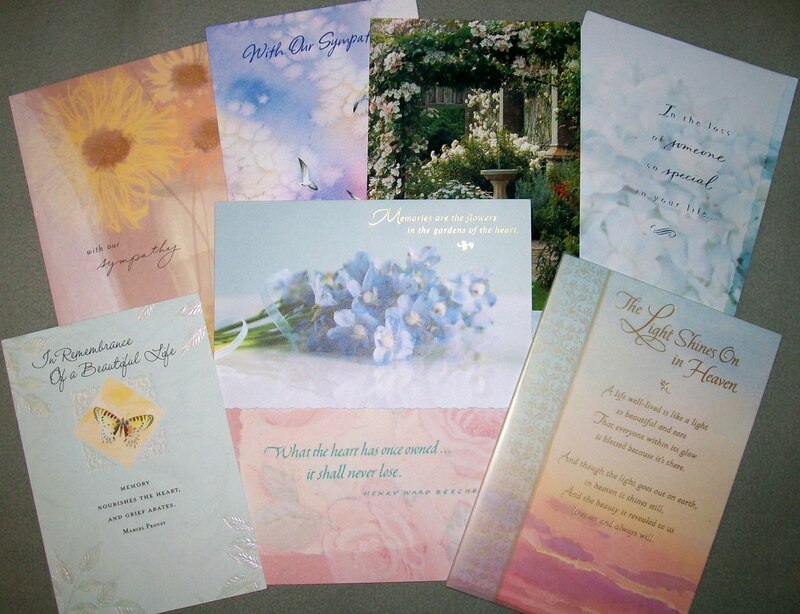 Helen was well known for her gardens, her flowers, and sending greeting cards, always with personal notes on birthdays, holidays and at times of bereavement. Often when she was done taking care of her own home, she went on to help other families in need, cooking, cleaning or helping out with child care. When Kenneth retired in 1983, and when the children had already left home to make lives for themselves, Helen and Kenneth Felumlee saw their chance to travel. They wanted to see this beautiful country they so loved. They only did their sightseeing while traveling by bus. Their son Jim Felumlee said his father didn't want to fly anywhere because "you couldn't see anything" [from a plane window]"
The couple managed to see almost all 50 states, up until Kenneth's health started to fail a little more than two years ago. He had his leg amputated due to circulatory problems. Helen became his loving caregiver, always nearby, eating their meals together, Helen sleeping close to his bed, making sure he had everything he needed. As often happens with dedicated caregivers, their health can suffer or become compromised so they can no longer provide the level of care to their spouse as before, and what happened with this couple was no different. Refusing a nursing home when her own health started to fail, Helen wanted to remain at home with her husband. She spent her last few weeks using a hospital bed that was brought into the their bedroom so she could be near Kenneth. When it seemed inevitable that one would die before the other, and still not knowing who or when that would be, Helen worried that Kenneth would die to leave her alone for the first time since they had met all those years before in 1940. Kenneth shared the same fear but he stayed strong for her. 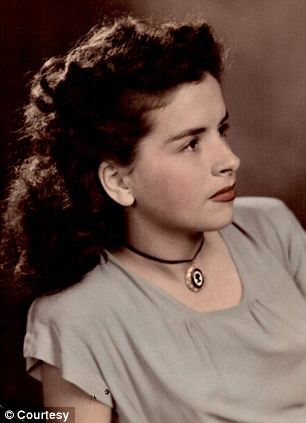 On Saturday April 12, 2014, Helen Marie Felumlee passed away at age 92. According to one Zaneville Times Recorder newspaper account, "About 12 hours after Helen died, Kenneth looked at his children and acknowledged, 'Mom’s dead.' He quickly began to fade, and was surrounded by 24 of his closest family members and friends singing his favorite hymns and reading his favorite Scriptures" when he died fifteen hours after his beloved wife, on Sunday morning, April 13, 2014. In this day and age of disposable relationships, short term marriages and bitter divorces, this couple's love story was inspiring. They went on to enjoy their "happily ever after." 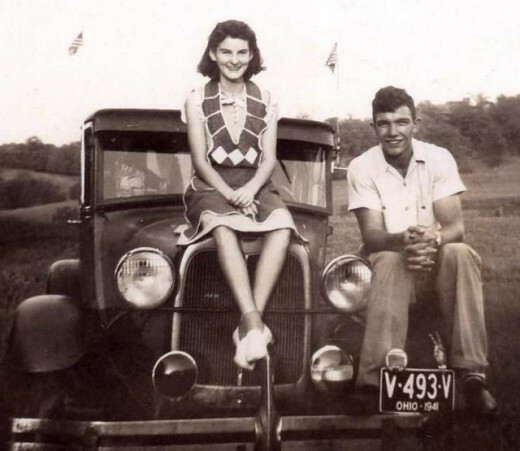 Norma and Gordon Yeager married the day Norma graduated from high school, on May 26, 1939. Together they raised children, laughed, argued, worked, vacationed and had fun. They spent 72 years together. And they died together. Driving a short distance from their home to Marshalltown, Iowa, Norma, age 90 and Gordon, age 94 were in a bad car accident. The Iowa State Trooper report later said Gordon pulled in front of an oncoming car, and that the other driver couldn't stop in time to avoid the crash. Norma and Gordon Yeager were taken to the same hospital but after being separated in the Emergency Room treatment rooms, each proved to get more upset by cryptic answers to their questions about the condition of the other. When their conditions worsened, doctors told the family that with their many broken bones and severe chest and back injuries, it was not likely they would recover, given their ages. So the family and doctors decided to put their beds in the same Intensive Care Unit room. They put the beds close enough so they could hold hands, even though they couldn't talk to each other much with morphine pain medication flowing through their IVs. Their children joined their hands as they knew they would have wanted. In this manner, they went through death's door, the same way they lived their lives. Together. At 3:30PM, Gordon Yeager stopped breathing, but his monitor showed he still had a heartbeat. However, the heartbeat really belonged to Norma, who was still holding his hand. Exactly one hour later, Norma died. Their son Dennis said that they loved being together and that his father always said, "I can't go until she does, because I gotta stay here for her.' And then my mother would say the same thing." Their story, seen on the internet and television stations around the world, has been shared and is still touching hearts with readers. Video follows below. In 1952, Floreen and Ed Hale met at a dance in a small town in New York. A few months earlier, Floreen had been in a serious car accident that had killed her new husband of three months. She was very fragile emotionally and physically and her parents were very protective of her. The dance was the first night she went out socially since the accident. After dating a short time, Ed asked Floreen's parents for her hand in marriage and they said no. They were afraid she'd get her heart broken again, saying she was still not healed physically. He promised that he would care for her for the rest of his life. Keenan Hirsh, Ed and Floreen's grandson: Ed said, "I don't care...I'll carry her in my arms until I die." They gave their approval and the couple married May 12, 1953 in Batavia New York. They moved into a home that Ed had designed, had three children, two of whom survive today. For 60 years, Ed doted on Floreen with little gifts, flowers and mementos. They were very active and did everything together - doctors visits, drives after dinner, little gifts for each other; they were inseparable. Ed Hale doctored with diabetes, kidney failure, and dialysis treatments for the last five years, On January 31, 2014, he developed a leg wound and was admitted to a Rochester New York hospital. Within a week, it became infected and his medical condition got worse so that he was not expected to live. Floreen suffered from asthma and heart disease and on February 4, 2014, she went into congestive heart failure and was rushed to United Methodist Hospital in Batavia New York in grave condition. Her husband was in a hospital more than 35 miles away. Keenan said his grandfather "woke up at 4 a.m. one morning after he had asked everyone to leave and called my mom and said, I need to be with Floreen." He didn't know she had been admitted to a hospital shortly after he was and when he learned of it, he asked to be transferred to United Methodist Hospital to be close to Floreen. 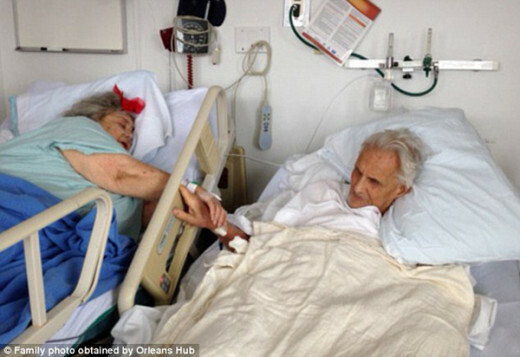 The two hospitals made arrangements so that on February 6, 2014 Ed and Floreen could be together in the same room, beds close together so they could touch each other..
Their grandson said that Ed would " roll over every 30 minutes and give her a tap and say, 'are you still there?'" 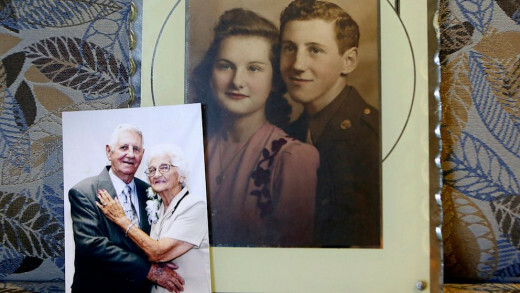 From the many photographs the family took of the couple, and from the video below, one can't help but shed a tear for the couple who loved each other for 60 years and wanted to be together as they neared the end of their life. On February 7, 2014, the day after Ed arrived at his wife's side, Floreen died holding her husband's hand until the very end. She was 82. On February 8, 2014, just 36 hours later, Ed joined her. He was 83. 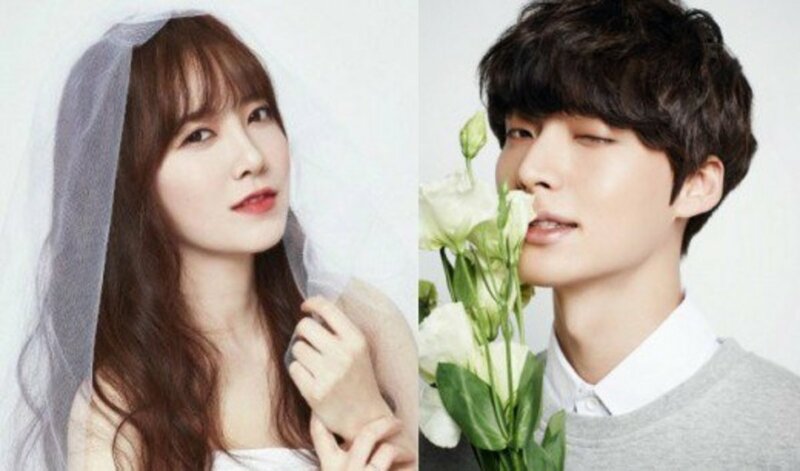 On February 13, 2014, the day before Valentine's Day, the couple had a joint funeral at St. Mary's Catholic Church and they were laid to rest side by side. Nora and Robert Viands met on a blind date. Nora wasn't exactly taken with Robert at first meeting and decided not to go out with him again. At Robert's insistence, they went out on a second date and soon fell in love. 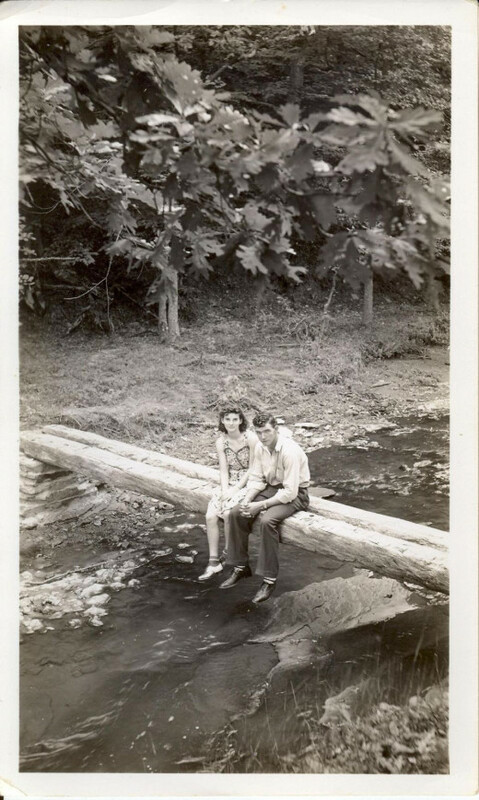 When they wanted to get married in 1942, they had to elope to Missouri because Nora was only 17, not old enough to marry in their state of Illinois. Because Nora was Catholic and Robert was Methodist, they had two more wedding ceremonies to keep their families happy. 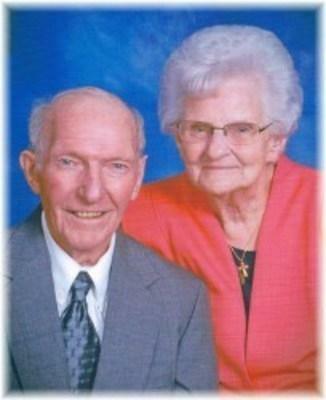 They were married 71 years, had five children and 18 grandchildren. Robert retired as a postal worker and from a part time position as a Watkins Vanilla distributor. Nora had been a teacher and cheerleading coach. Their daughter Barbara said, ""They were really never apart. Whenever they would go anywhere, when my father decided it was time to leave, he was always tugging on her 'Come on Nora' and she'd say 'No, I have to say goodbye to the kids.' My mother would hang behind saying her goodbyes and he would go wait in the car." In June 2013, they celebrated their 71st wedding anniversary then had to give up living in their home to move into Fairhaven Retirement Center in Rockford, Illinois because they both had health issues. Robert had Parkinson's Disease and Nora had heart issues and was recently hospitalized with pneumonia. 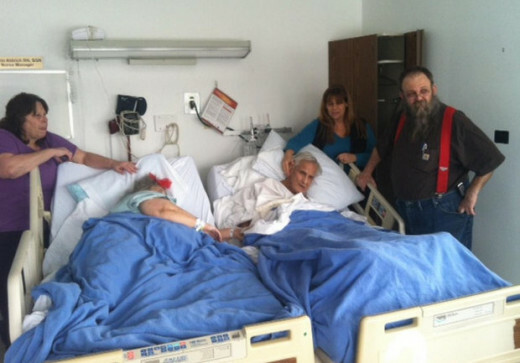 On Wednesday, August 28, 2013, the couple died hours apart, with their beds together side by side at Northern Illinois Hospice Center. Robert Viands died at 12:45AM and at 4:45PM, Nora joined him. Some say Nora died of a broken heart. Their daughter Barbara said she and her siblings had worried about what would happen to their surviving parent when the other one died. And though they are sad to lose them, "in our hearts we're glad. All of us children have said this is the only way they would have wanted it," she said. The couple had a joint funeral on September 1, 2013 in Rockford, Illinois and were cremated directly after the service. We've all heard stories when people say a surviving spouse died of a broken heart. Do you think it is possible to die of a broken heart? Eleanor Witt married Frank Turner met when Frank wanted to buy a car at a car dealership where Eleanor worked. He had just returned home from World War II and needed a car. The car salesman asked Frank if he wanted to test drive a car. 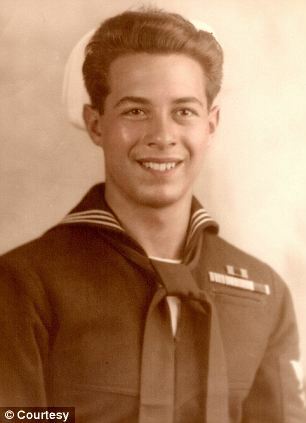 Linda Pursur, the Turners daughter remembers, "He said, 'Only if your secretary will come with me,'" Purser said. "That was the beginning." They were both 22 years old, born in the same month of July in 1926. They married a few months later on Christmas Eve in 1948. Two children soon came along, a son and a daughter. Frank Turner got a job after the war with the Associated Press installing and repairing teletype machines, working his way up to chief of communications. Eleanor left her job as a secretary to raise their children. Eleanor and Frank spent most of their time together and he waited on her in true Southern gentleman style. Whatever she asked for, he would go get it. Soon Eleanor was diagnosed with dementia, but Frank wanted her to stay at home with him, saying that he would continue to take care of her. A few months prior to their wedding anniversary, Linda saw that her father just couldn't care for her anymore and she moved her mother into a nursing home near Charlotte North Carolina. Frank was lost without her at home and would drive over to the nursing home just to be with her every day. They adored each other. Gradually dementia took hold of Frank too so that he would get lost on his way. Then their daughter moved him into the nursing home with her mother. 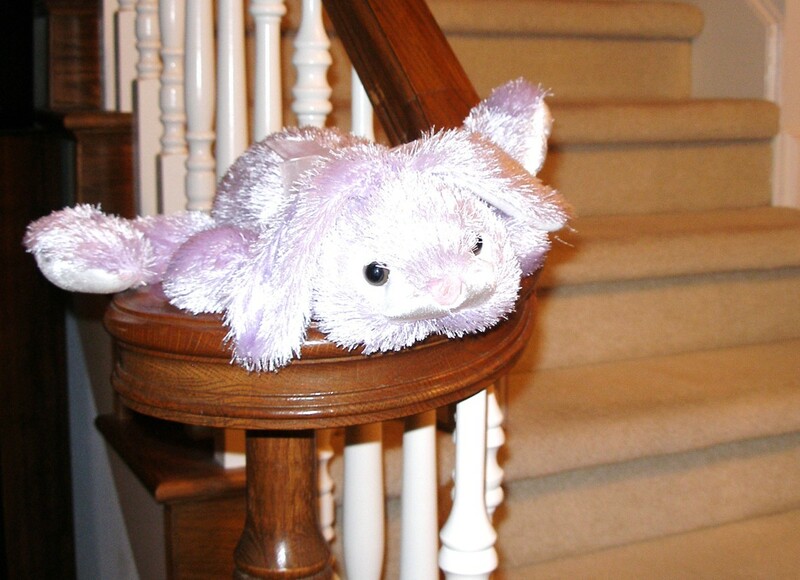 Soon after Frank arrived, he suffered a minor stroke and a week later, Eleanor had a stroke too. Eleanor was admitted to the hospital on November 25, 2013, the same day Frank was discharged to a hospice center. 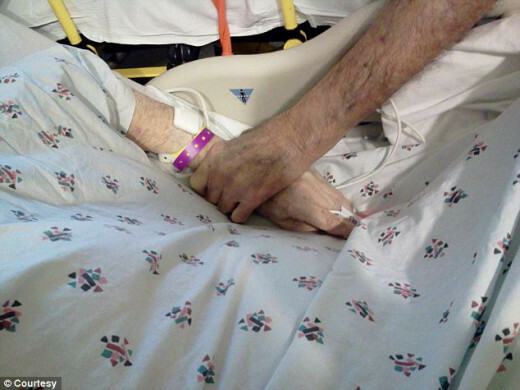 The photograph to the right is of Frank and Eleanor holding hands in the hallway of the hospital as she was admitted and he was being discharged. 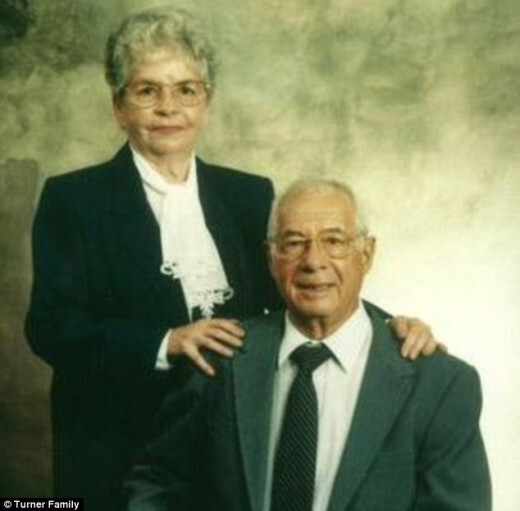 Linda Pursur said "Their illness never affected their love for each other. They were never apart at the [nursing] home and always worried for one another. If one got sick and had to go to the hospital, the other worried themselves sick until they returned." Eleanor's stroke left her with debilitating paralysis no longer able to be cared for at the nursing home. She was placed in Hospice House in Monroe, North Carolina. It was not the same hospice where Frank had been sent because he was not medically eligible for the same facility. On Friday, November 29, 2013, Linda Pursur received a phone call from the hospice at 4:30AM telling her that her mother had died. She and her brother Larry worried how to tell their father, but they never got the chance. At 1:30PM that same day, her father's nursing home called to say Frank Turner had gone into coronary arrest and had died on the way to the hospital, nine hours after his wife had died that morning. Linda and her brother never had to tell him about their mother. Frank and Eleanor had only left their home five months before. They were 87 years old and just three weeks shy of their 65th wedding anniversary. The couple was buried side by side at Lakeland Memorial Park, Monroe, NC. 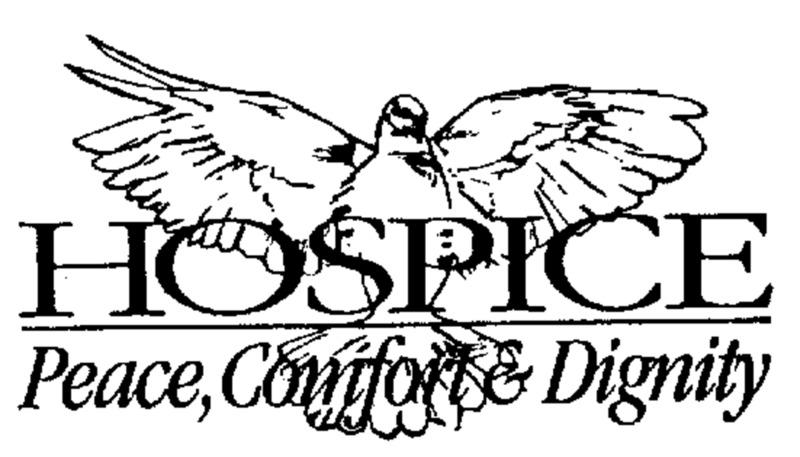 For the last 15 years, I've been working part time as a Registered Nurse for a hospice agency for patients who want to remain in their home for hospice care. I gave up the rat race of hospital work so I could choose my work schedule and so I could be with my husband more since his stroke in 2007. We regularly employed home health aides to take care of him two hours each morning, whether I was home or not because I never knew when I would get an assignment from my agency. I work night shift because it pays more and because there are more assignments available; not too many nurses want to work all night long doing one-on-one care. Three years ago, in 2011, I took care of a very nice 88 year old Italian lady named Sadie, a retired high school principal. She was in end stage cancer of the brain and my assignment with her as her Hospice Nurse was expected to last about 2 to 3 weeks. Although my supervisor always gave me a general idea of how long an assignment might last, going by the prognosis, patients didn't always follow the plan! Sometimes they died sooner, sometimes it was way past the stated time of the assignment. Unfortunately, at that time, most health care insurance companies would only pay for six weeks of hospice services at one time. After that, the patient had to be admitted to a hospital or a nursing home as an inpatient for minimum three days. There had to be a change in medical prognosis/status so the insurance timetable could be reset for doctors to order various services into the home. This law has since been changed due to Obamacare and patients are now entitled to hospice care for as long as they need it. Sadie was on her fourth round of hospice services and it had been a long eight months for everyone, especially Sadie. Each time her doctor ordered six weeks of hospice services, it was with the idea that her medical tests pointed to the fact that she was not long for this world. And each time the six weeks was up, off she would be bundled in an ambulance to the hospital. In the beginning, she never went willingly or quietly because there was no one to care for Walter, her 95 year old husband who suffered from vascular dementia, the result of a stroke in the 1980s. He was otherwise in good health. He had been an extremely intelligent chemist, retiring from one of the largest pharmaceutical companies in the country. I truly believe Sadie did not want to leave this world because she worried what would happen to her Walter. They were all each other had left. They had outlived their siblings and their one daughter; they had no grandchildren. Sadie always said she'd "do away with both of them" one day before she would allow him to go to a nursing home again. In her mind, there wasn't a single good one on the planet. It only took one fiasco of allowing their social worker to set up respite care for Walter in a nearby nursing home while Sadie was in the hospital before Sadie laid down the law that Walter was going with her to the hospital each time, and he would have a bed in the room with her too. On the day after Thanksgiving, I was out shopping at the Black Friday department store sales - of course, where else would I be! Two months prior when Sadie came home from the hospital, another hospice nurse took her assignment because I was not available due to helping out after the birth of our new grandson. So I hadn't seen her or Walter since before then. My supervisor left a message on my answering machine to call back and confirm that I would take their assignment which began at 10PM that night, my normal shift. However this time, the patient was not Sadie; it was Walter. When I called back to get report, I was told that Walter had suffered a very bad fall on the front steps of the apartment building when he had ventured out the front door one day while Sadie was napping. 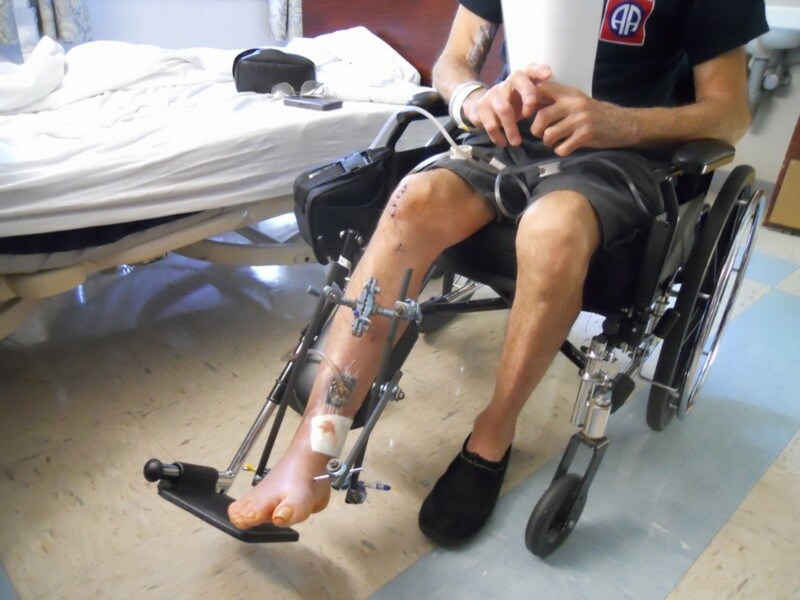 He suffered a broken leg that required screws and other hardware, then his leg was put in a cast. After ten days in the hospital, a nursing home was offered. Sadie took a fit, refused nursing home placement and signed him out of the hospital AMA (against medical advice). Walter's dementia was worse than ever most likely due to a very bad infection in his leg and his medical team didn't feel he would last much longer. Sadie wanted him home with her to spend his final days. That night when I arrived at their little apartment, it was mayhem. After getting Walter settled for the night in a hospital bed that took up the whole living room of the little apartment, the nursing aide was in tears as she was leaving. Sadie was reprimanding the aide like she was one of her students, telling her she didn't know what she was doing and to get out. The hospice nurse I was supposed to be relieving had already left because Sadie had thrown a bedpan at her when she refused to give Walter his pain medication ahead of schedule. She was subsequently fired from the agency and lost her nursing license for job abandonment. When Sadie saw me, she hugged me and pulled me over to sit with her on the side of Walter's bed. I really loved this cute couple. Sadie cried, letting it all out. Walter had only been home for less than 24 hours, she had no rest since that morning, she was too nauseous to eat, hadn't had any pain medicine because she was afraid to fall asleep leaving two incompetent people in charge of her husband. She said it was the worst 24 hours she had endured since she was in labor with her daughter. Walter, on the other hand, was oblivious to anything being wrong with his care, but he seemed to be aware of Sadie's state of upsetment. One minute, he was patting her hand, saying he was glad she was done tutoring the unruly student. Ten minutes later, he thought it was morning and time to get up for the day to go to work at his job at the pharmaceutical company. I had brought some Danish coffeecakes with me, Sadie's favorite comfort food, and I put on the kettle for tea. I wanted her to eat something so she could take some medication for the pain that showed all over her face and maybe get a few hours sleep as well. She looked exhausted. After we had all eaten, Sadie had calmed down as she caught me up on events since I had last seen them. Walter was drifting in and out of sleep in his hospital bed while we were talking. When Sadie started to feel the effect of her pain meds, she went over to Walter's bed and climbed in. She hugged him and gathered him into her arms. He then hugged her back. She kissed him deeply, then she moved over to the sofa bed a few feet away, lay down and fell asleep. It was about 12:30AM. The rest of my night was pretty quiet, still checking on both of them every hour per protocol, and making my notes in the chart which mostly said "resting comfortably." Even though I was contracted for care to Walter, it was just natural for me to keep an eye on Sadie as well. When I checked them both at 5AM, Walter started to awaken, fidgeted a little like he might be in pain so I prepared his medication. Sadie was still asleep, her face was finally calm and relaxed. By 6AM Walter wanted to get up to dress himself and shave - something he hadn't been able to do for quite a few years now. After shaving him, doing his wound care treatment and changing his damp pajamas to a clean dry pair, I set about making breakfast in their small apartment. Walter kept talking to a sleeping Sadie, about how lucky they were that Katie (their daughter) was able to help out while Sadie was sick. I gently reminded him that I was Rachael, their friend. As is often the case with dementia, a few minutes later when he spoke, he had forgotten already. At 6:20AM, Sadie awakened, smiling. She said she had missed me and that it was good to see me back where I belonged. She remarked that Walter seemed to be doing better than yesterday and he was calmer now that he was not being fussed at or handled roughly by the aide or nurse from the night before. She refused the scrambled eggs, English muffins and tea I had prepared and said she wanted to rest her eyes some more before getting up. I pulled the light comforter over her, kissed her cheek and went to bring Walter's breakfast from the kitchen. It was about 6:30AM. When I got done feeding Walter, I cleaned him up and Sadie still hadn't gotten up. It was my usual practice to call my husband every morning after 7AM to make sure that our home health aide had shown up to take care of him. His stroke in 2007 left him partially paralyzed on his left side. We had exhausted our insurance benefits way back in March of that year, so until the new year, we were self-paying for the daily home health aide he needed every day. I usually only talked to him on the phone for about five minutes, just enough to make sure things were on schedule and everything was alright. At 7:05AM, I checked on Sadie again and I just wasn't ready for it. She was gone. She had died in her sleep sometime between 6:30AM and 7:05AM while I was working with Walter and during my five minute phone call. It took a few minutes to compose myself and to try to explain to Walter that she was gone. Then I called my supervisor and put the wheels in motion so we followed our protocol when a death occurs. Walter and Sadie's doctor arrived by 7:45AM almost at the same time as the ambulance. He pronounced Sadie and signed the paperwork for the attendants to remove her body from the house. He wanted to give Walter something for anxiety but I had just given him his pain medication so he opted not to give Walter anything. By 8AM Walter was keening badly, not understanding why they took Sadie out to the hospital again and why he didn't go with her. I did not look forward to what life was going to be like for this dear 95 year old man without seeing Sadie or hearing her voice every day. For all his dementia, her voice was the only one he recognized over the years of his illness. My supervisor came to the apartment door around 9AM, and brought a lady from Social Services. She was there to evaluate Walter to see where she would be placing him because without Sadie at home, he wouldn't be able to stay in the apartment, with or without in home services. By now, I had told Walter several times that Sadie had gone to heaven, but he kept asking if she was in the kitchen making dinner. I sat on the side of his hospital bed, embraced and comforted him, and kissed his cheek. Each time he asked for her, I patiently told him again that she was gone. Getting up from the bed, I told him I would be back later that evening. That is when it looked like the realization must have dawned on him, because his low cries became weeping, then wailing and finally all out hysteria. He wanted Sadie back with him and, at that moment, so did I. It was so sad to see him so sad. The events of the next few minutes happened so fast that even now three years later, it still surprises me. I was writing up my notes, and my supervisor told me to go home early (I still had almost an hour before my shift ended). She said to finish my paperwork at home and drop it off at the agency office later and that would relieve me of my shift until the next RN showed up in about forty five minutes. I went over to Walter's bed to kiss his forehead and say goodbye. He looked up at me and said, "I knew you would never leave me." And through my tears I told him again that I'd see him later that evening. He smiled and reached his hand out toward the sofa bed, as if Sadie was standing at the side of his hospital bed and said "Sadie, my girl. Let's go now." He closed his hand as if he had her hand in his, then he closed his eyes and was gone. I know in my heart that Sadie had come back for him, and no one can convince me of anything different. Experts say when one mate survives the other after they've been together for many years, that most likely they won't live much longer alone, because they were just so connected to their spouse and don't want to go on without them. They call it Broken Heart Syndrome, and I think it is appropriately named. On the other hand, we have all seen couples who have been together a long time who still have that same connection, but really have no wish to die with their spouse! Instead, with support systems in place and dedicated caregivers, they are able to go on for months or sometimes even for years. I'm sure there are just as many men who can say the same thing, and some who have proven they can survive a long time after, especially with a good support system, like church ladies to keep them in meals for months, even years! For me and my husband when I think about one of us dying, leaving the other behind to carry on, it brings tears to my eyes. We've been together over 40 years and although we have talked about it, it is just too hard to dwell on. I think of Sadie and Walter often and I'm glad he didn't have to live on without her. I originally had ten stories to bring you but decided to leave you with these six stories because I didn't want to make this subject any more of a tear-jerker than it is for some readers, but at the same time I wanted to show you heartwarming stories of love. If you have a story to share or know of a couple who passed on around the same time as their spouse, please feel free to share in the comment section. As always, I value your feedback. 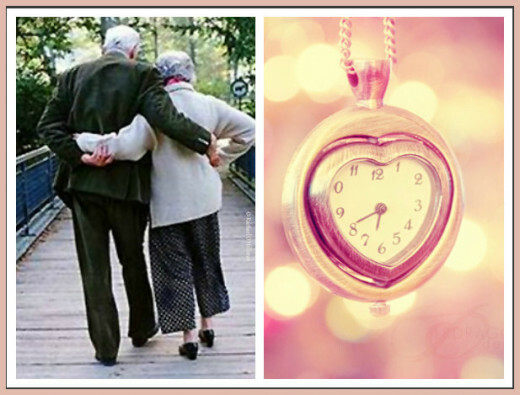 It is so very hard when old age comes along and we have to be parted from the person we have spent our life with. Neither wants to go first and the ideal would be to go together. Those are the stories I looked for when I was writing this. It certainly is. It is a subject talked about in my house, that's for sure. Thank you for reading and for your comment. I was so touched by Nora who died an hour later after her husband. I can understand the deep love that would place these people in position where they would want to pass on. It is so wonderful that heaven rejoins the hearts once again. I agree with you. My grandmother died when I went out to the bathroom down the hall because there wasn't one in the ICU area where she was a patient. It pisses me off to this day (which is why I mention it in some of my writings), but I am comforted knowing she was ready and waiting for the Lord to come get her. We had a thing going back and forth. I'd say I'm going to the bathroom, I'll be right back, ok? and she'd say I might not be here because when the Lord says Come follow me, I'm going! Rachael, a close friend was by her mom's side every day as she lay dying in the hospital, but when she would go home at night she would give her mom a kiss, tell her she loved her, and say 'good bye mom' so that her mother would not feel she had to 'wait' for her to come back. She did die in the night, with a nurse sitting by the bed. When this same friend's husband was dying, she called their daughter in Florida, and she hopped a plane right away, but didn't make it. It just goes to show that God is in total control...I agree with you, when it is time to answer the call to follow God into Heaven, it's time. The important thing is for the dying person to know they are entering into eternity having been loved. Isn't that remarkable how often couples tend to look like each other over time?? LOL that you brought that up. Thank you so much for reading my article (s), for following me and for your feedback. This is such a touching article, especially the account with your personal experience. I noticed how much these husbands and wives actually looked like their spouses as the years went by! I truly enjoyed this, voted up, and hope to read more of your work. How inspiring your comment is with your health issues and how awesome your husband is to understand the value of spending all his time with you. I think whenever we have a loved one in hospital - whether it is a serious illness or if they are past the grave part of the illness - a spouse will always opt to stay nearby. The reason, I suspect and I'm almost sure of, is that the one moment they step away to either go to the bathroom or take a break to have some family enjoyment, and that hospitalized spouse/loved dies, then that is the one time they will be forever holding themselves responsible for their actions. They will beat themselves up for it for years to come and say "If only I had stayed there, if only I hadn't gone to so and so's house or to the bathroom" they would not have died alone or without me being there. The truth is, no one knows when our time is up. No one knows when God is going to crook His finger and say "Come, follow me." God doesn't look around to see who or who is not left in the room, His attention is on the person in the bed, the person He is watching over so that when He sees the opportunity - that precise moment - then it is so. I love your marriage story, how wonderful to have found your soulmate. I think it just goes to show that age does not matter. It's all about love. Rachael: I voted up, useful and awesome. I read all of your stories...I wept at one point. I am going to add you and your husband to my prayer list...which I review every single day. Your stories are inspiring and heart wrenching at the same time. My daughter has always said, "I hope God takes you both at the same time because I don't know what I would do with the one who is left." I admit to being selfish, I have asked God to take me ahead of my husband, but when I was so very ill a year and a half ago, I remember that on Thanksgiving day my husband refused to go to my daughters for dinner because I was still in the hospital with a nasal gastric tube. I could not eat. He spent every minute of that day with me in the hospital. When I lay in bed and asked him, "What do you want for Christmas, honey?" tears streamed down his face. He said, "The only thing I want for Christmas is for you to get well." Thank you for sharing these wonderful stories. Only God knows when He is going to take us. But I am very much in love with my husband...he is 10 years younger than I. We eloped because he was 19 and I was 29 when we got married...so we had to go to another state because his parents would not give us permission to marry. When you love someone, you LOVE, LOVE, LOVE. Best decision we ever made. It cost us $10 for the marriage license. PS: AGAIN, thank you for answering my question about the permalink. It helped a lot and I was finally able to publish a hub. This is an interesting and very touching hub, Rachel. What beautiful stories of love! Thank you for sharing them. Their marriage was a great inspiration too. I'll never forget them. Thank you for your comment. Rachael, the story of Sadie and Walter was particularly touching. She took care of him until the end. Excellent read. Rachael, these stories are so heartwarming. I'd heard about the first couple but not the others. I must say, the story of Sadie and Walter brought tears to my eyes and a lump in my throat. I agree with you; Sadie came to take Walter home. True love never dies - just our bodies. God bless those who have the will to go at the same time! I agree, it is truly amazing how God works it out that one doesn't have to carry on without the other after a lifetime together. Thank you for sharing about your uncle. I'm sure his wife was finally content when she joined him. I am reading your hub with tears in my eyes. Love is the greatest miracle and blessing of all. Voted up, beautiful and awesome. 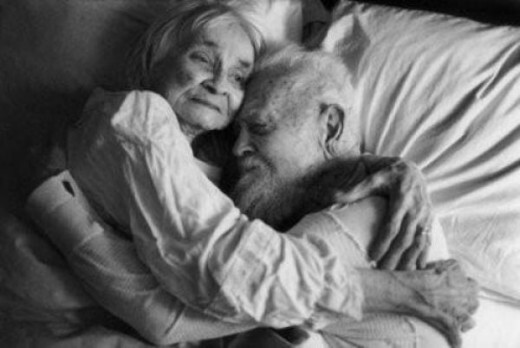 Amazing about love and how couples such as mentioned can grow old together and live side by side till death do us part. My uncle passed on before his wife six months later the she passed on it was so unbelievable to me at that time. They were inseparable. I agree, the Broken Heart Syndrome, although not painless, does not seem as bad as a cancer or some other ominous disease. I have been in such a state since I wrote this, that I told my husband last night if I die right after him, I'd rather it be with a broken heart than a disease. He said there was no doubt about it, he would definitely follow me if I went first because his heart would truly be broken. We both felt the same way, yet we never said so out loud before last night. Some things, although assumed, sometimes need to be voiced just to make the other person feel like both are on the same page. I hope this hub inspires other couples take a moment to talk to their mate. Thank you for your visit and comment. What great stories--tear jerkers, too. You did great job of obtaining all the information and photos. Your article should really start some meaningful conversation between spouses! The broken heart syndrome is about the best reason to die, if I my say so. Well done! She probably did. I didn't share this in the hub but my sister-in-law and her husband experienced this several years ago. Her 79 year old mother died on Thanksgiving and by Christmas her 80 year old father followed. They had been married over 50 years. My sister-in-law always said her Dad died of a broken heart. I think it was because it was a comfort to her to feel that was the cause of his peaceful passing rather than anything else that might have been painful. The holidays in our family are always remembrances of someone's birth, death or marriage. Thank you for sharing your friend's experience and for leaving a comment. this just happened to a friend of mine. his grandfather passed about two months ago, and last week, his grandmother passed. i remember asking myself if it was because she wanted to be with him again. thanks for this beautiful hub. I thought their stories were beautiful too. Thank you so much for your lovely comment.